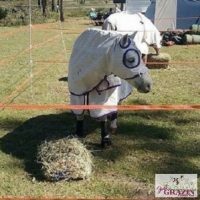 Not sure what hay net you need? 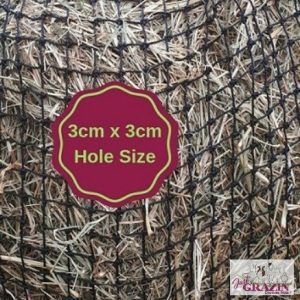 Hay Net Help – choosing the right size netting….. It is important to consider what size netting would be most suited to your personal situation. Therefore we’re here to offer you some hay net help with your decision. 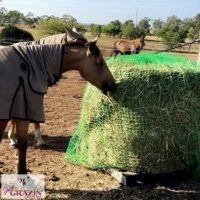 Each size netting suits different hay types, different individual horses and livestock. 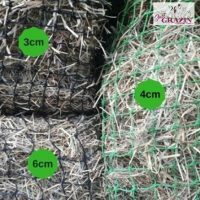 Netting choice will also be impacted by what you want from the net, whether its to reduce waste, slow the rate of consumption or a combination of both. 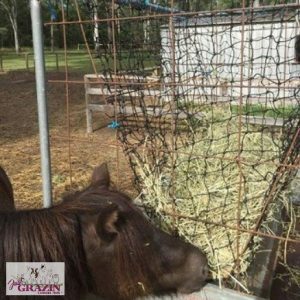 Hay Net Help – Trouble Shooting……. * There are consistent holes being made in the net. * Horses/livestock have given up trying to get the hay. 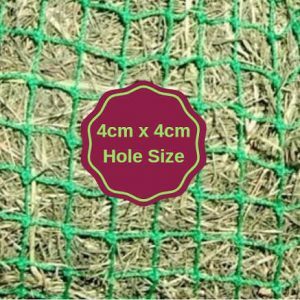 These issues are usually resolved by – increasing the hole size of the netting used OR improving the quality of hay being fed. 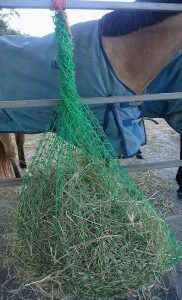 Small Size Hay Nets – These are the perfect size for feeding out a few biscuits of hay. They will comfortably hold up to 3 biscuits of hay. 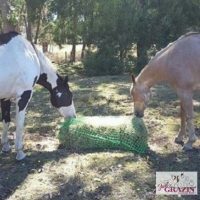 This makes them the ideal size to use for feeding out Lucerne, taking away to competitions, using in your float or around the yard. Also perfect for feeding your ponys daily hay ration. Easy to fill, ideal for smaller portions of hay up to 3 biscuits. They extend feeding time and reduce the amount of hay wasted vs feeding hay loose. 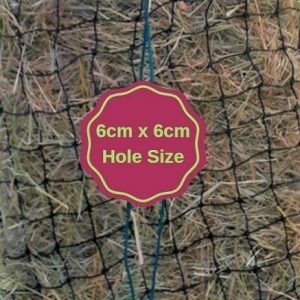 Half Bale Net – Easily holds up to half a standard bale of hay. 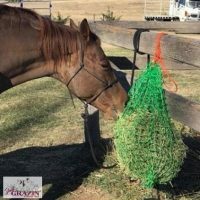 Great for feeding out hay to several horses (who are happy to share of course). 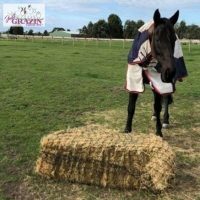 The half bale size is ideal for feeding out grassy hay, making hay available to your horse over night or for extended periods of time. These nets are very generously sized, easy to fill. 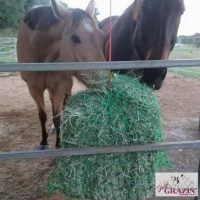 They are a simple and convenient way to feed out your horses daily hay ration. Full Bale Net – The bees knees when it comes to feeding out a full standard rectangle bale of hay. For true continuous slow feeding, especially for horses kept on dry lots/sacrifice paddocks without access to pasture. 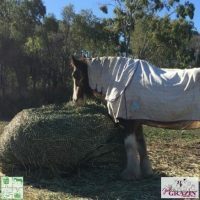 This size can be used with several horses in a shared area (provided they get along) or is perfect for having hay available 24/7 for your horse. 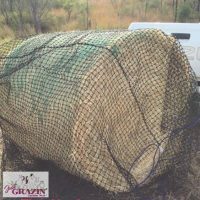 Round Bale Nets – Just Grazin Custom Nets® come in the following standard sizes for round bale nets; 3x4foot, 4x4foot, 5x4foot and 6x4foot. 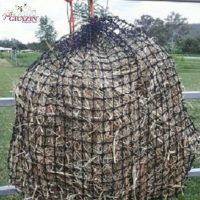 These hay net fully enclose the entire round bale keeping it secure inside the netting. Feeding out round bales is the most cost effective way to provide forage 24/7. However they are also the size bales that generate the most waste! 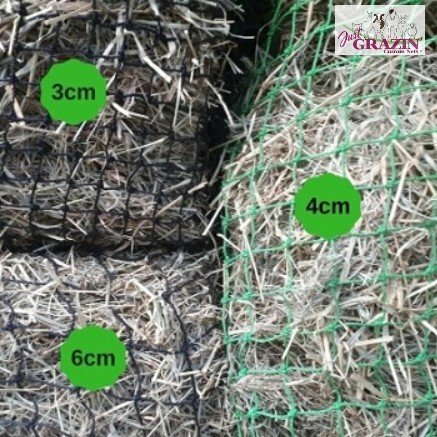 Just Grazin Custom Nets® drastically reduce the waste which occurs when round bales aren’t contained/are fed loose. 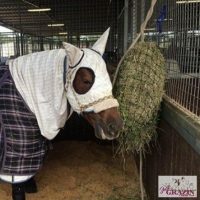 Cant find the size hay net you need? 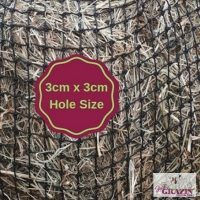 Just Grazin Custom Nets® stock an extensive range of sizes, but if you need something specific we offer a custom size service. Simply send us your measurements and we can get you sorted, making the exact size net you require. There is NO additional fee for this service!